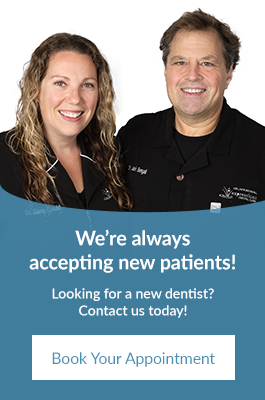 At Expressions Dental Care in Richmond Hill, we believe the use of modern dental technology and early detection tools are key to optimal oral health. We provide in-house diagnostic services and dental technology to better service our patients, identify areas of risk and stop problems before they start. Digital x-rays, also known as digital radiographs, are an essential part of any dental care treatment plan. Digital x-rays are diagnostic, but they can also be preventative, by helping a dentist diagnose potential oral care issues in a patient’s mouth before they become a major dental concern. Digital x-rays use an electronic sensor (instead of x-ray film) that captures and stores the digital image on a computer. This image can be instantly viewed and enlarged, helping the dentist and dental hygienist detect problems more easily. Panoramic x-rays, also called panoramic radiography, is a two-dimensional (2D) dental x-ray examination that captures the entire mouth in a single image, including the teeth, upper and lower jaw, surrounding structures and tissues. It covers a wider area than conventional intraoral x-rays and so provides valuable information about the maxillary sinuses, tooth positioning, and other bone abnormalities. VELscope® technology is used by our dentists to help detect oral tissue abnormalities, including cancer and pre-cancer. CEREC® technology allows for quicker creation of dental restoratives, such as crowns, veneers and onlays. Using CAD/CAM (computer aided design/computer aided manufacturing), we are able to design and create your new teeth completely in-house, and in just one dental appointment. Patients spend less time in the dental chair, as traditional impressions and temporary crowns are no longer needed. Our practice is equipped with a convenient in-house laboratory. This space allows us to better cater to the needs of our patients by providing customized and emergency restoratives on-site in an efficient and timely manner. Our in-house dental laboratory is especially helpful when creating complex dental reconstructions and allows us to create custom dental restorations specifically crafted for each one of our patients. An intraoral camera is a tool your dentist uses to examine your mouth. The instrument, which may look like an oversized pen, has a camera that takes high-resolution images of a patient’s mouth and shows the detailed visuals in real-time on a monitor. The patient may view the images in real-time with the dentist.